Why Create a Family Website? When you create a family website you will be able to share his first steps with family and friends anywhere in the world. Imagine if you could have a family website with all your pictures on. 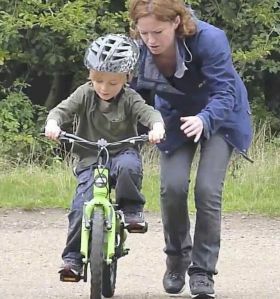 Your first bike ride with a nervious Mom sending you down the road. If you have kids you ow it to yourself and them to save all those precious family moments on your very own family website. Do you remember when your were seven? Where are all your birthday party photos? When you create a family website you will be able to create photo galleries and upload all your childrens photos and videos and be able to view them when you want on your own family website. Granny Granpa will be able to see all your holiday pictures of your latest beach Holiday. All your pictures will be safe and secure. You can even keep your family website private. Family members will get their own passwords to enter your site. Share those special moments with loved ones all over the world. If you require any help to build your family website please contact support. Want us to build your family site? Contact us today to find out more. We all want to keep in touch with friends and family, but the hectic pace of modern life and the reality of often living far apart can keep us from connecting with those we love. Not long ago living on opposite ends of the country meant not communicating with some of the important people in your life. But with the advent of new technology, keeping in touch has become a lot easier. Now there is a whole new wave in technology that makes staying connected even easier than before. How can I build a website? Use Easysite to create your family website and share it with family and friends all over the world! Family websites make the important task of keeping in touch with family and friends as easy as a click of a button. Unlike email which requires keeping an up-to-date email list and is limited to a few pictures, family websites are both easy to use and can have thousands of pictures, not to mention videos, news items, calendar, message board, chatroom, blogging, family bios, music and much more. Creating a family websites makes life even easier - there are no complicated interfaces and no need to learn how to program a computer. Instead it's as simple as clicking on a button, adding some text, and picking a picture - you'll be up and running in just a few minutes! Let your whole family know what your personal web-address is and they can come over for a visit anytime. Make sure the family website service you select lets you "lock up" your family website so only the people you choose can come and see your site! You have all the advantages of Internet without any of the potential problems. A family website is one of the best and easiest ways to share your favorite photos with friends and family. Birthdays, holidays, weddings, graduations, family reunions, having a baby, travel, sporting events or even something as simple as a trip to the park are all examples of events that you might take pictures at. Friends and family can share in the current events of your life by viewing pictures that you have posted to your own family website. If someone wants a print of one of your pictures, they can order prints right from your personal site. You can order other photo merchandise or even turn your pictures into holiday greeting cards for family and friends when you create a website using Easysite. A family website is one of the easiest ways to post, organize and share pictures. Plus, your site should keep high-resolution copies of your pictures on your site in case you ever have computer problem you can download your pictures back to your computer for free. Other photo sharing services charge you to access high resolution copies of your own pictures. Some services make you purchase a disc to retrieve your pictures. With some family websites you can do photo edit and cropping right within the site. Also, fix red-eye, adjust brightness or turn your pictures into black and white all within the site. With photo effects you'll have a lot of fun uploading your pictures. Add captions to your pictures while posting them. "Voice Captions" can also be added to your pictures. Now you can just talk about a picture and create a voice caption. Also visitors to your family website should be able to post comments on the pictures you have posted. Plus, every album of pictures can be viewed as a slide show presentation. If your friends and family are spread out all over, creating a family website can be just the thing you need to bring everyone back together. A family website can be a central meeting place where everyone can join in and contribute. Meet in the chatroom or carry on conversations using the message board. Post pictures, news items, calendar events or even bios or profiles for each family member. We all know how crazy it can be planning holidays with the family, anniversary parties, or even family reunions. But with your family website things just got a whole lot easier! With your family calendar you can plan important dates and share those with the other members of your site. With your news and blog sections you can give status updates and post other important information that will help your family stay up-to-date on what the latest plans are. Not sure if you should go to San Diego or San Antonio for your family reunion? Just add a poll question and let your family vote on it. You can even do fun things like having a family survey to find out what the funniest family moment is, who is the biggest clown in the family, or what the best memory with Grandpa is. An email blast feature can be used to send out an email announcement to all your site members. Let everyone know that you've just posted some pictures or added a news item using this feature. Creating a family website can be an easy and fun process. It's definitely fun to visit a family website, but it's not always fun to put one together. Having an easy-to-use site takes all the work and frustration out of making your own family website. Family websites should be built primarily with busy moms in mind. It should only takes a few minutes to update your family website. When you create your site with an easy-to-use service you can post pictures, a news item, some calendar events and even upload video all within a few minutes. It's not always easy to remember everyone's birthdays or anniversaries or to keep track of what everyone is doing. With a family website everyone can share a calendar to post important events and keep everyone on schedule. On your calendar you can assign certain events to be yearly, auto-fill reoccurring events and even mark certain events as private. Also you should have an option to send yourself or all of your members an email reminder for special events. This will keep you from forgetting to send that birthday card out before the special day. A family website can help everyone get to know their own family members better. With a family website, you're all on the same page communicating and connecting. Your family website is a perfect tool for helping you to get to know those close to you better! You can share your thoughts in the blog and news pages, letting people know what is new with your family or what you've been thinking about lately. Putting pictures online is a great way to visually tell the story of your life. Plus, with the message board you can discuss pictures, blog posts, or anything else that comes to your mind. Want feedback on a decision you're making? The message board is a great place for your family to give you input, or for simple questions, the survey feature is a fast, fun way to see what everyone thinks. Your site should make it easy to "lock up" your pages so your personal information stays personal. Unlike social networking sites, a family website should let you choose which information to show just to your site members and which information to make public. Creating a family website is one thing; create a safe, secure and private family website is another. Make sure your family website is safe and secure. With moms of young children in mind, a family website service should taken the time to think through and implement safe and secure practices from the very beginning. Unlike sites like Facebook which are now struggling to provide safety and security, your family website should have the tools to provide you with the safety and security you want and expect for a family website. Specifically, your family website provider should not let people search for sites and should not publish a list of sites. Also make sure that your family website provider does not submit your site to search engines. Your site should let you "lock-up" your pages so only you and your site members can access your family website. Lastly, some services will even give you an option to prevent visitors from copying your pictures or right-clicking on them. No one likes annoying pop-up or banner ads, and your family website should be no exception - make sure your family webpage is ad-free. 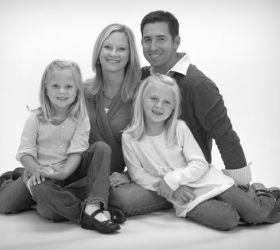 Your family website should be a great looking website that expresses who you are, not advertise a corporate sponsor. Also, read the fine print or terms before signing up to make sure your provider won't sell any of your personal information - they should value your privacy and not send you junk mail, so make sure to keep your information tightly guarded. And while other sites bombard your friends and family with ads, your site should be completely ad-free. Not all family websites are created equal. Some family websites look great while others look, well, not so great. Some have just the right look and feel, while others have no look and feel. With a more advanced system you should be able to easily select a professionally designed templates for your family website. What's more, you should be able to change the look of your site at any time with one mouse click. 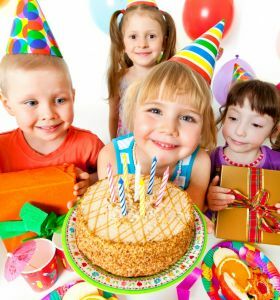 Birthdays, holidays, seasons, weddings, baby, sports, travel, photography are example themes to choose from when selecting the look of your family website. Some family website services will let you try out the service for free. This gives you a chance to really test the system to make sure it's going to work for you. Other family website services charge you upfront without being able to try out the service. Most family website services will let you try out everything and start your own family website for free. No credit card or financial information should be required to initially try out the service. In fact, some services have a "free" level to keep for as long as you want. The higher "paid" levels of should at least begin with a no risk, free trial. If you like the service, then you can decide to purchase it at the end of the free trial. If you find that the service isn't the right one for you then you should cancel it. Some family website services claim ownership of anything that is posted to their site. Make sure you maintain ownership of everything you post to your site, pictures, messages, news items, videos, blog, etc. Family websites are different from "social networking" sites. Social network sites are great for connecting with old friends or introducing you to new ones. Family websites on the other hand should offer you privacy without the cost of advertisements or annoyance of people that you've never met before requesting to become your friends. Social networking sites for the most part are advertisement-based. They make money by creating traffic and driving people to your page. Most family websites are subscription-based services and have no ads. Because of this a family website doesn't need to create more traffic to your site and send people that you may or may not know to your personal site. With your own family website, you're in control. You decide who can visit your family website and what they have access to.